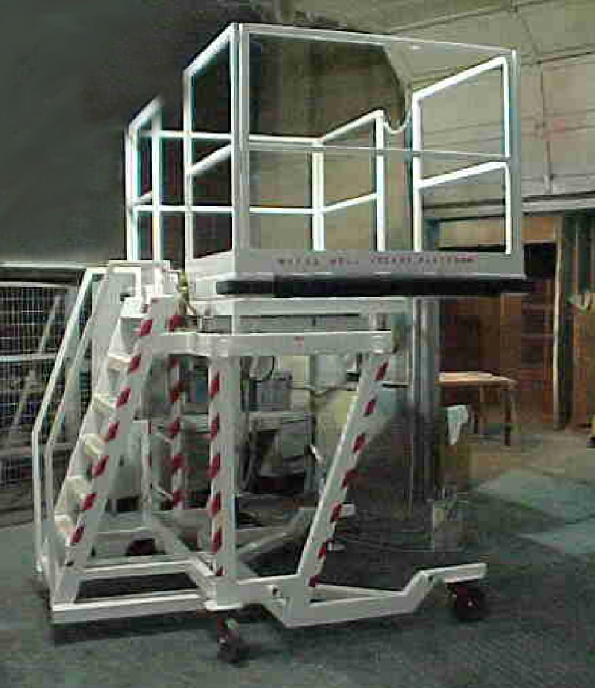 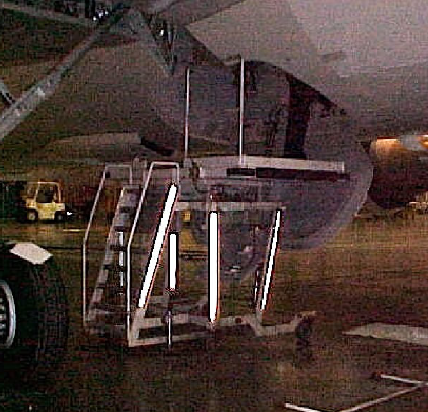 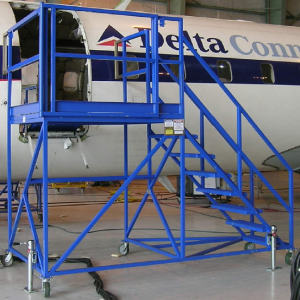 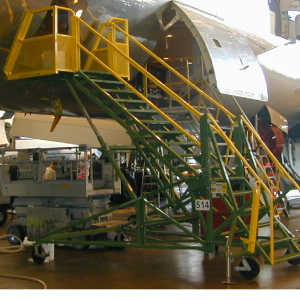 Model 3300 features non-slip stair steps and platform decking, standoff jacks for stationary operations, USAF approved rubber bumper for aircraft protection, and safety locks on the adjustable height mechanism. 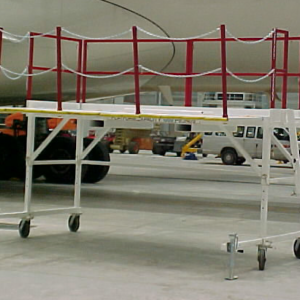 Standard colors are white with safety yellow guardrail and moving parts, but customer specified colors are also available. 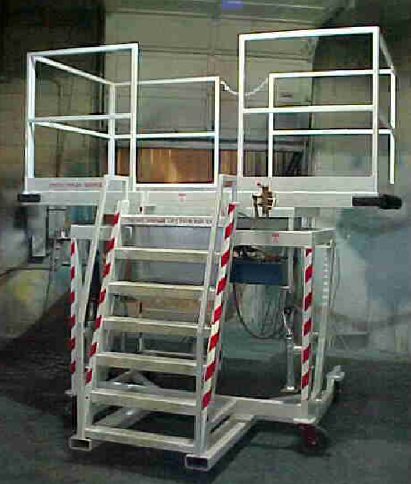 This model incorporates a welded structural steel frame assembled with high strength hardware for simple and reliable construction. 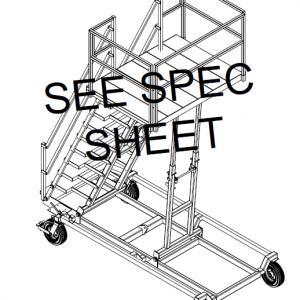 Standard features include heavy duty locking casters, towbars, and skydrol resistant paint.